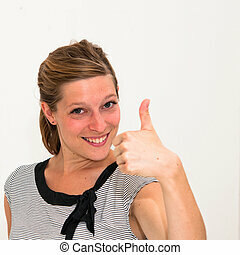 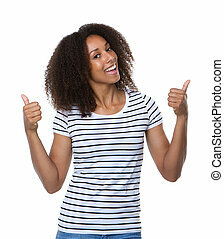 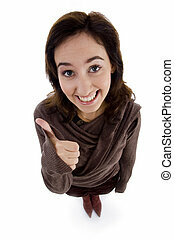 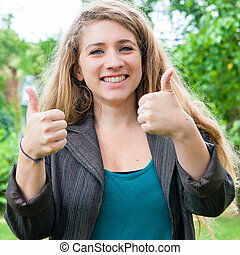 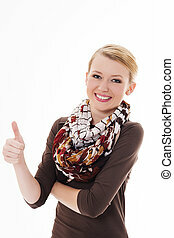 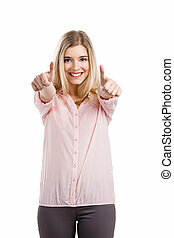 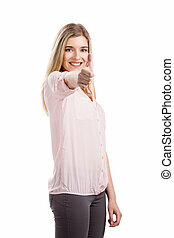 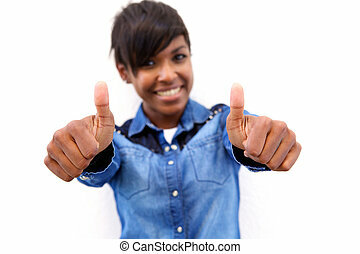 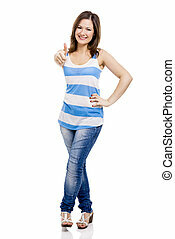 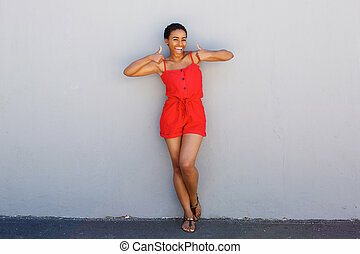 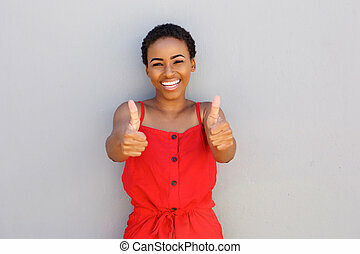 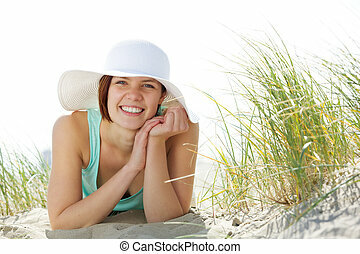 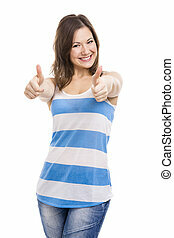 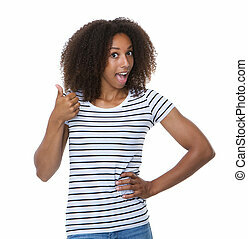 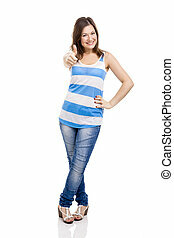 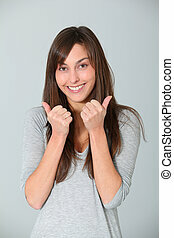 Beautiful young woman smiling with thumbs up. 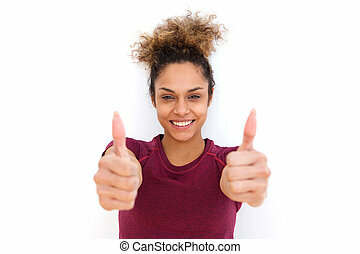 Portrait of a beautiful young woman smiling with thumbs up. 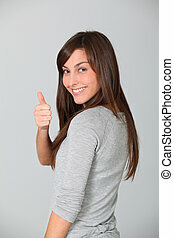 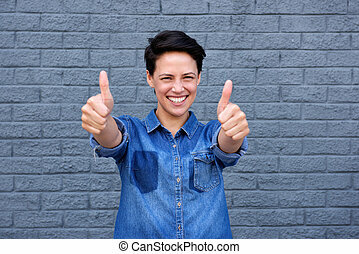 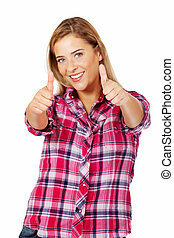 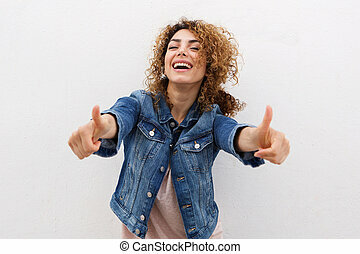 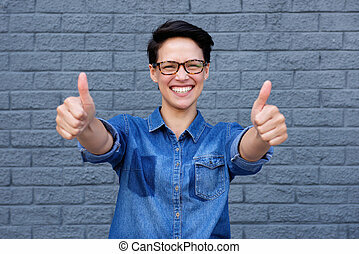 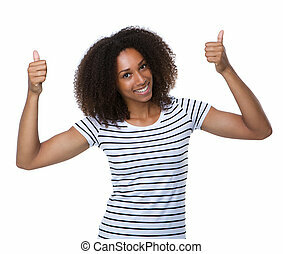 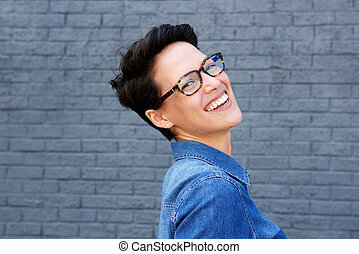 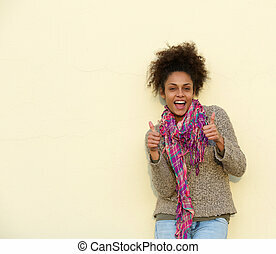 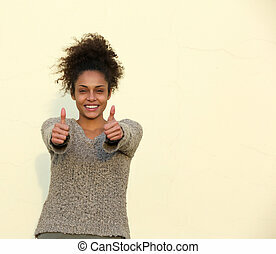 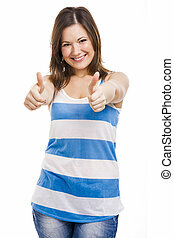 Young smiling woman with thumbs up.